The 2018 Charger SRT Hellcat is Pretty Badass But How Does The World’s Most Powerful Sedan Perform on the Road? Sure, the 2018 Dodge Charger SRT Hellcat is the planet’s most powerful sedan boasting 707-hp. Badass, but how does it actually perform on the road? This post The 2018 Charger SRT Hellcat is Pretty Badass But How Does The World’s Most Powerful Sedan Perform on the Road? appeared first on TractionLife.com by Graham Heeps. Just days after the latest fatal accident related to FCA’s troublesome electronic gear shifter, the company announced that their dealers now have the new software ready to be installed into vehicles with the electronic shifters. The updated software should prevent the cars from moving when the “Park” gear is not selected and the driver’s door is open. FCA announced that it was already to issue start a recall campaign on vehicles using their new gear selector. 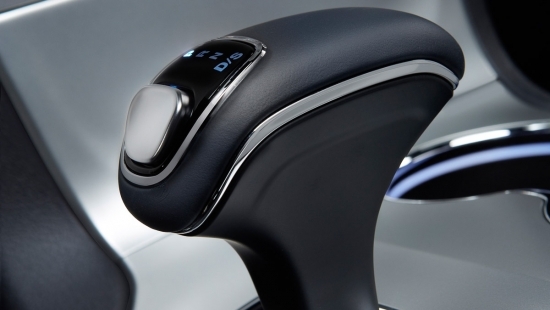 NHTSA reported that the troublesome shifter has resulted in 117 alleged crashes, 28 injuries, and now 1 death that of Anton Yelchin, most notable for playing Checkov in the new Start Trek movies. The recall impacts Jeep, Chrysler and Dodge vehicles and now spreading to Maserati products as well as they announced today that they will recall the 2014 Ghibli and Quattroporte sedans manufactured from June 1, 2013 to February 28, 2014 because of their confusing gear shifters. Ever since we first laid eyes on a concept hot rod from Dodge which had those massively wide fenders and equally monstrous rear tires we knew we were witnessing something special. Over it’s 25 year life span, we have been left with a wonderful library of tire shredding videos. To celebrate the end of the Viper’s production run, five special edition Vipers will be made available for the 2017 year. Four of the Vipers to be released will be part of the heritage collection meaning they will be based on a Viper from the past. Here is an example of Randy Pobst’s Viper 1:28 Edition ACR which set a 1:28:65 lap time at Laguna Seca. The car will wear custom aero, come with carbon ceramic brakes, and be sporting a black paint job with red striped running front to back. Only 28 of these Vipers will be produced. We’ll bring you more Vipers over the new few days. Dodge’s Ram Rebel is already one mean looking truck, but Mopar is taking things one step further and producing an even more aggressive version of the Ram Rebel which will be sold in limited numbers. 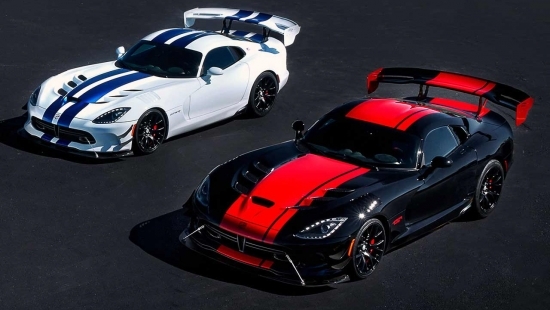 Dodge has confirmed that only 500 special edition vehicles will be sold. Each of the vehicles will be outfitted with a catalog full of parts right from Mopar. Customers who want to purchase a Mopar Ram Rebel will get two color choices: Red and black two tone, or an all black version of the truck. On the exterior, some additional changes include a double scooped hood, large wheel flares, and custom exterior graphics. But peeling back the exterior upgrades, you’ll also find that Mopar outfitted the truck with some protective gear in the form of a skid plate to guard the power steering box, a front bumper skid plate, and door sill guards. While on the performance side, the Mopar Ram Rebel will still get the 5.7L HEMI V8 mated to an eight-speed transmission. The Mopar Ram Rebel will be priced around $52,460US and should hit showrooms by the end of this summer. Even though four cylinder technology and power potential have come a longs ways since those dinky little fuel efficient lawn mowers, it is still a surprising move to see Dodge potentially run a four cylinder in their Charger which is has so much of its history rooted in big American gas guzzling V8. 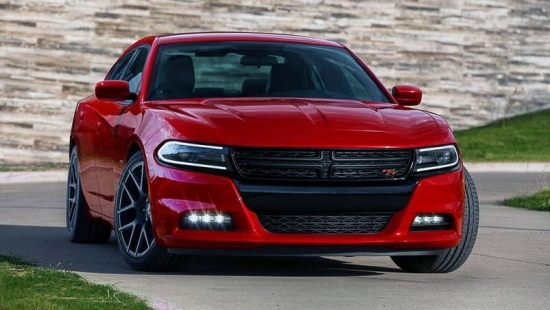 When the next refresh of the Charger, expected for 2019, happens, Dodge will likely introduce the four cylinder into their lineup. The direction from Dodge, it seems, is to focus on creating a light weight Charger which won’t need a lumpy V8 to get it going fast. Currently, there is a high horsepower four cylinder turbo motor in the works from the automaker. It is expected that the new engine should deliver somewhere in the 300hp range. Couple that with a good dose of weight loss and that might still create a fun Charger for the masses. Fiat Chrysler has been hard at work developing a new turbo four cylinder motor which they are calling the “Hurricane”. The last time an interesting four cylinder came out of the FCA family was when we saw the SRT-4 engine inside the Dodge Caliber. 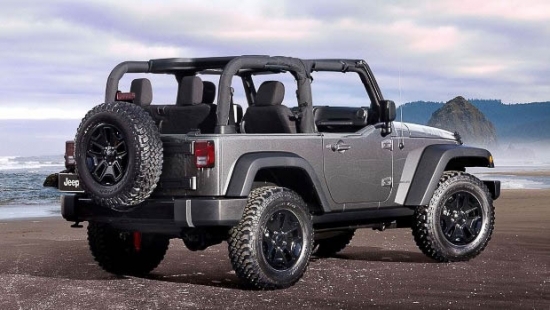 Now, the new version turbo four is said to push the 300hp mark and could make its way inside the new Jeep Wrangler. This is good news as turbo four cylinder engines are becoming a staple motor across many other automakers such as Volkswagen and Mercedes with power output from those companies ranging from 292hp in the Golf R and 375hp in the GLA45AMG. Thanks to its twin-scroll turbocharger and use of variable timing the new engine is both capable and provides great fuel economy. 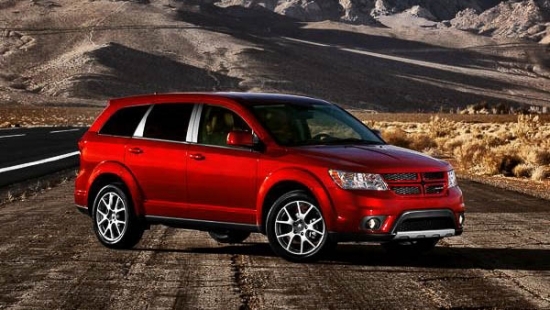 FCA is issuing a recall on their 2009-2016 Dodge Journey. The problem has been isolated to those vehicles which are equipped with the optional engine block heaters and located in cold climates. The issue is that the power steering fluid lines may leak when starting the engine in extremely cold weather. If the steering fluid leaks out of the system, it will result in much more effort required to steer the vehicle. An estimated 187,436 cars are affected in Canada. Once the recall starts, the dealers will work to inspect and replace all associated parts. If you own one of these vehicles, we encourage you to contact your local dealership for more information. There’s one person who doesn’t know when enough is enough and that is John Hennessey and we openly thank him for that. The folks over at Dodge brought us the 707hp 6.2L supercharged V8 Hellcat which is a tire shredding beast of a car. Then along comes Mr. Hennessey who says, “well that’s not enough” and slaps on a set of turbochargers. The result, a 1032hp and 987lb/ft of torque beast. Hennessey calls this new kit the HPE1000, conveniently rounded off for branding purposes. The boosted Charger and Challenger Hellcats will move from 0-100kph in a mere 2.7 seconds and smokes the quarter mile in just 9.9 seconds. That right there is a whole lot of car! But wait, it’s not all about the performance. Actually it is. The additional add ons are purely cosmetic with the HPE1000 package which includes twin turbo badging, a signed builder plaque in the engine bay, and a set of custom floor mats. The HPE1000 package will set you back $55,000USD plus the price of the car itself. The best part of anything that comes out of the Hennessey group is that they will provide you with a one-year/12,000-mile limited warranty over and beyond the one provided by the manufacturer. 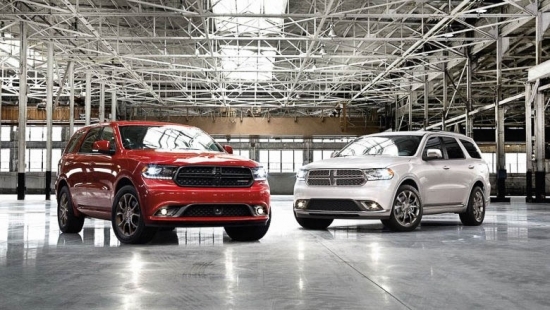 Black Series, Alloy Edition, and now comes Brass Monkey and Anodized Platinum options featured at Dodge for the 2016 Durango. Despite the interest naming convention, the Brass Monkey and Anodized Platinum package is a visual enhancement package for the Durango. For $995, you can get the Brass Monkey package which gives customers 20 inch bronze wheels, and black exterior accents. For $1,095, the Anodized Platinum package gives customers 20 inch satin carbon wheels, a platinum grille, custom mirror caps, door handles, fog light bezels, and lower door sills. The appearance packages are very well priced since purchasing aftermarket wheels and tires alone will cost customers well over the price point for either package. 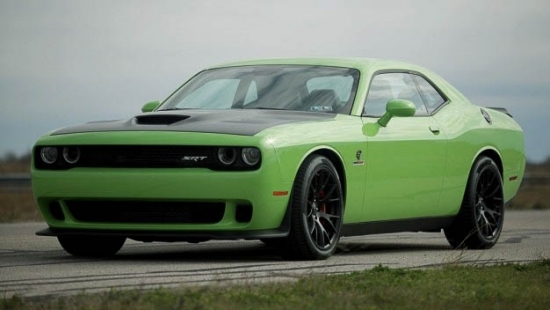 Dodge will start to offer both appearance packages to customers starting in June. The all new Dodge Ram made a spectacular entrance today at the 2016 Chicago Auto Show. 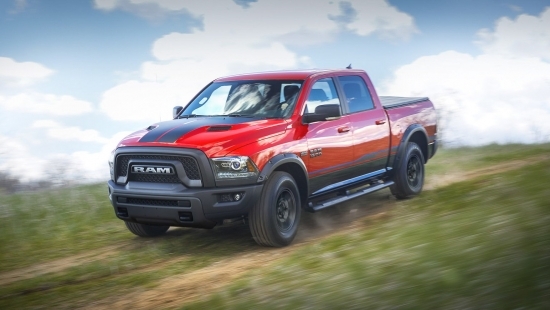 For a truck where you can’t use the word “tame” to describe it, Dodge chose to debut the vehicle by demonstrating all of its rugged capabilities in grandeur. The stage was setup with obstacles which allowed the 2017 Ram to show off its extremely capable suspension movement and angles. The truck literally climbed all over the stage before stopping for its beauty pose. The new Ram is based on the 2500 Heavy Duty 4×4 Crew Cab. Dodge has selected a 6.4L V8 Hemi powerplant to power the new Ram which packs 410hp and 429lb/ft of torque. 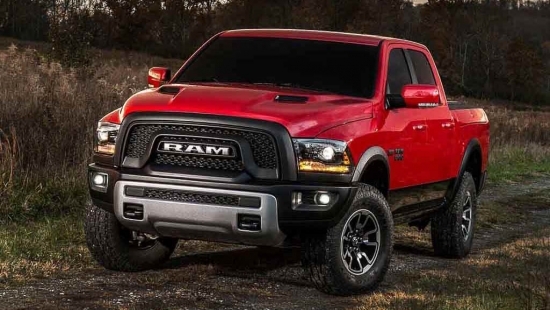 The front of the truck features a new grill prominently displaying the “RAM” name while the black trim is used through the exterior to further the rugged look of the truck. The headlights feature projector lamps with LED lights in a blacked out housing. The rear bumpers are also powder coated black and features a tow hook for days when owners want to lug around a boat, another car, whatever they want really with a towing capacity of up to 10,030 lbs. The Power Wagon Ram’s debut surely showed off the trucks capabilities. This is one vehicle that certainly looks it’s part.